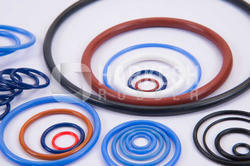 Our product range includes a wide range of injection molded rubber parts and rubber viton o-ring cord. We are indulged in offering our honored customers, the defect free range of Injection Molded Rubber Parts.Designed using quality tested material and the ultra-modern machinery, this product is made in tune with the set industrial standards. The offered range is used for multi-cavity molds and is capable of producing many components per cycle. Clients can get this range from us at nominal prices. Generally used in sealing of large Vessels and Valves. Our Viton Rubber O-Ring Cord materials have less than 10% Compression Set and provide very good physical properties. Cords are generally made from Won (1KM) or Nitrile (NBA) Rubber. 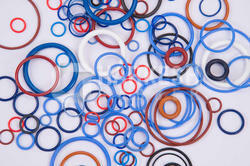 We also make customized rubber profiles through extrusion as per our customers' requirements. Looking for Viton Cord ?